John Kanan is an experienced corporate attorney who is well versed in corporate and financial transactional matters. He counsels publicly and privately held businesses and their owners and directors and acts as outside general counsel to dozens of companies in a wide variety of industries. 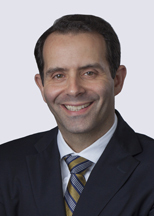 He has considerable knowledge regarding international business transactions, acquisitions, and divestitures.